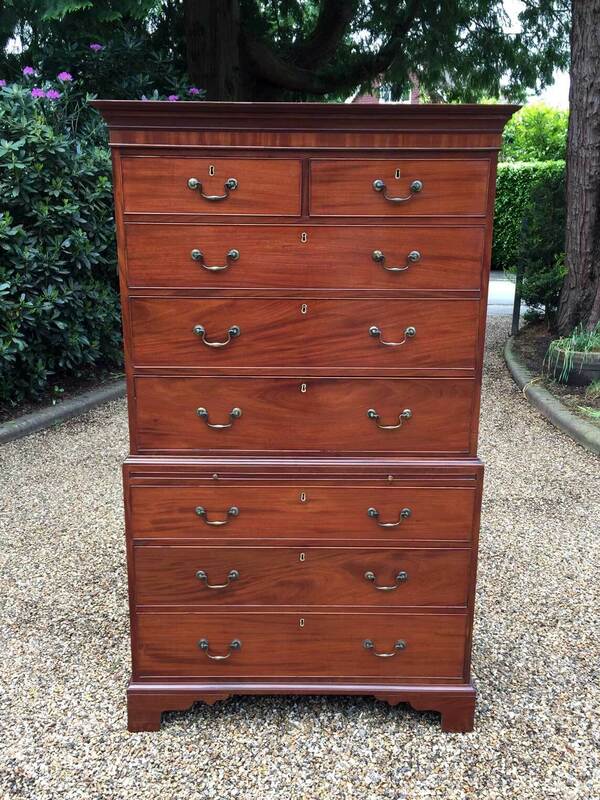 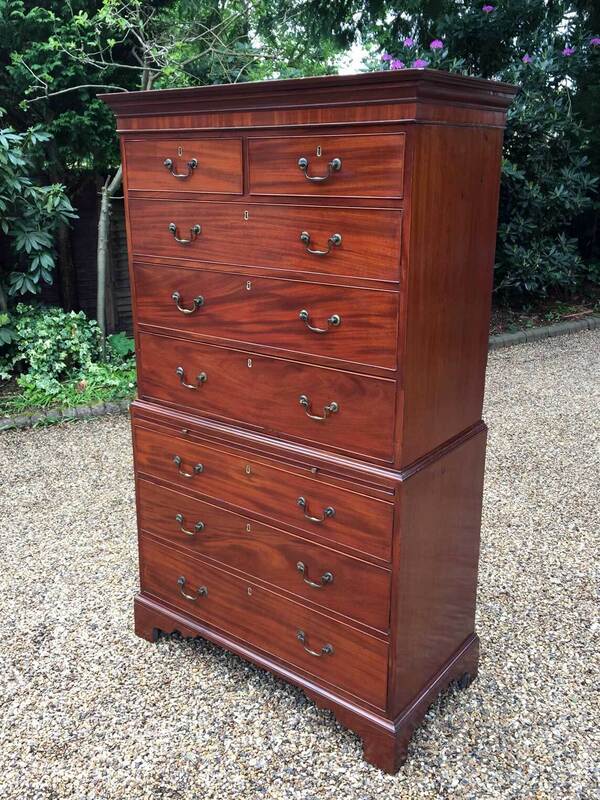 A very high quality 18th Century Mahogany Chest On Chest (Tallboy) with a brushing slide. 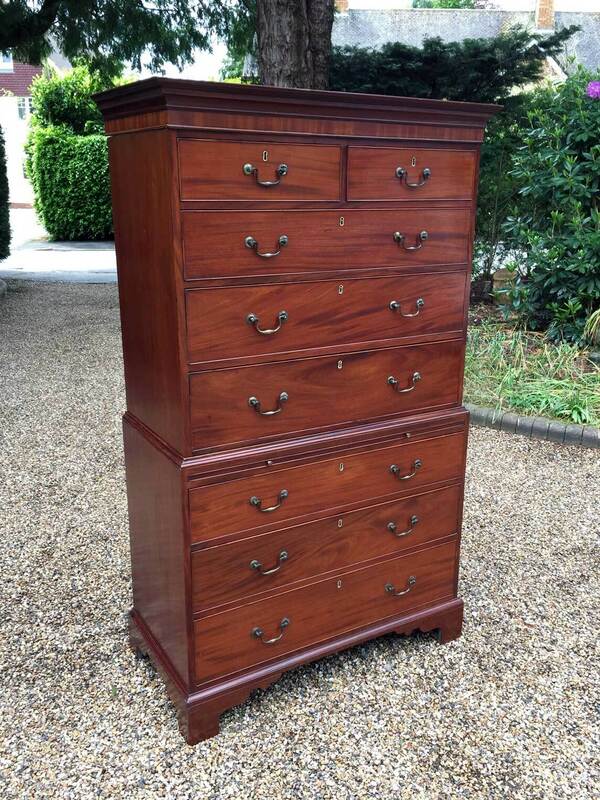 Two short drawers at the top and six long drawers. 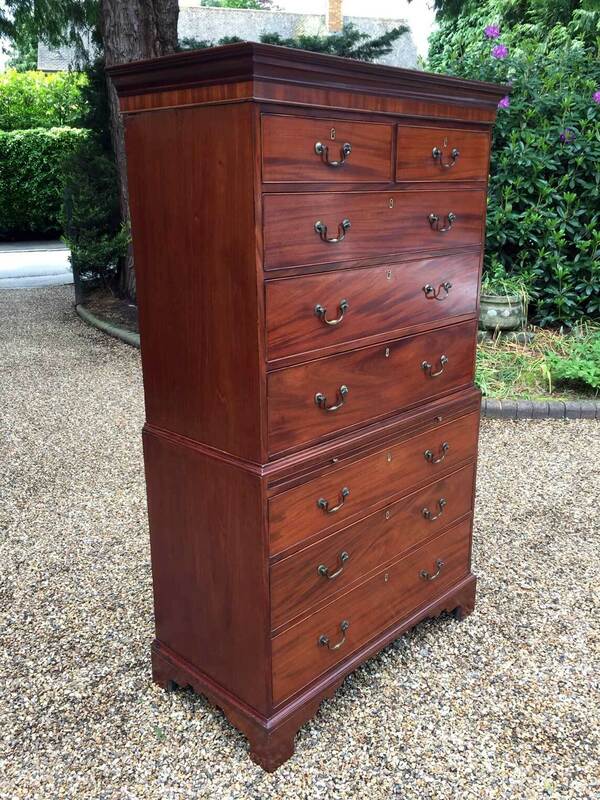 Original brass swan neck handles and mahogany lined drawers. 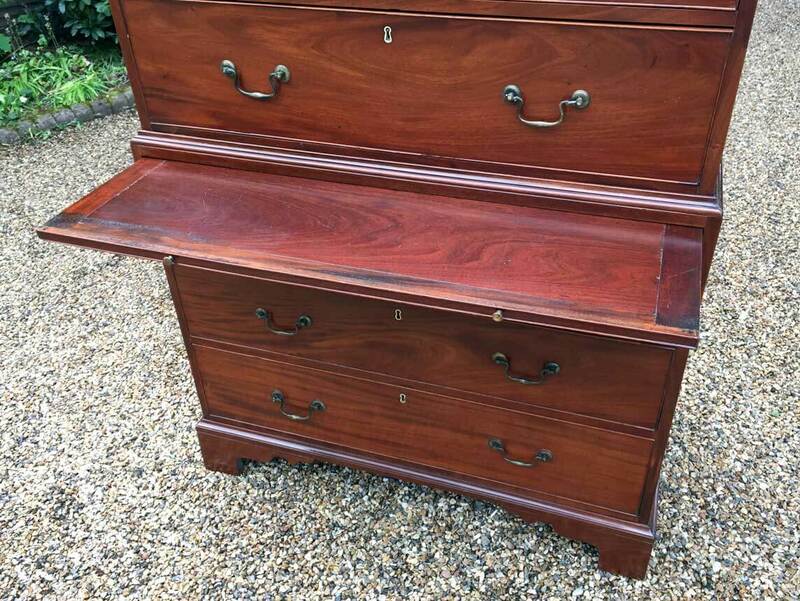 Comes apart in three separate sections on original bracket feet. 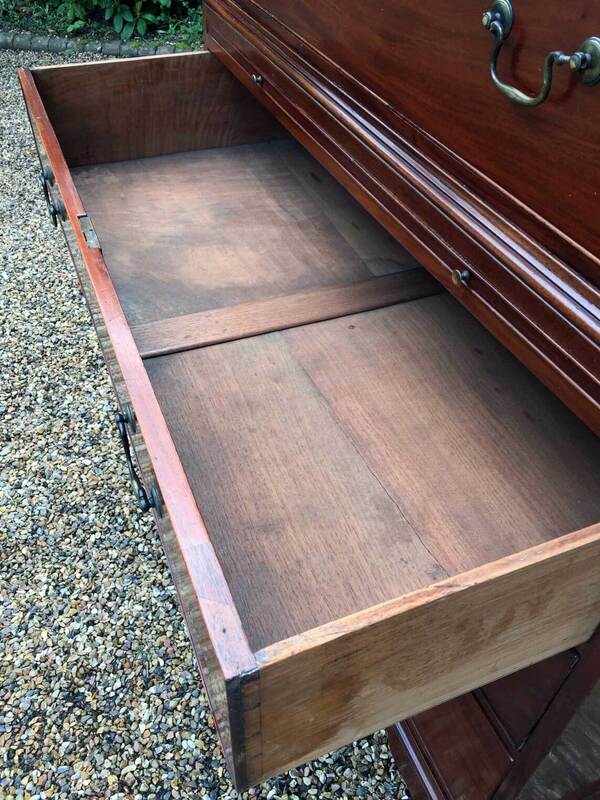 Measurements of Width taken from widest part of top cornice & bracket base.